An historic car dealership in West Yorkshire is leaving its trading site of 94 years to move to new, modern facilities that will enable the business to grow. 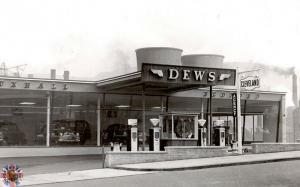 Dews Motor Group, which now runs five dealerships across Calderdale selling used cars, had been operating out of its Brighouse premises since 1920. However, the company is now selling the site and opting to move to a larger location in Halifax, which will support the increasing volume of trading the business is experiencing. For car dealerships choosing a new site, picking a premises that will allow the business to grow is an important consideration. So too are things like the area's crime rate and the potential risk of flooding – these factors will play an important part in determining the cost of a motor trade insurance quote as the company looks to obtain protection for the cars, parts, tools and equipment the company stores at the business premises. In the case of Dews Motor Group, managing director Craig Hamer said that moving to a new site was cheaper than trying to redevelop the existing buildings. According to the Bradford Telegraph & Argus, the old Brighouse site has been the subject of a planning application to develop it into a new retail space.